Jillian photographed alongside her adoptive parents, Helene and Sam Sobol on May 27, 2016, the day of her college graduation. "I was born to be here." That was the mantra of 31-year-old Jillian Sobol as she pursued a degree from San Francisco State University where, remarkably, she was abandoned as a baby three decades ago. "I'm a graduate now, it's amazing," Sobol of San Francisco, California told ABC News. "I tried my hardest to let my birth and those circumstances be those secondary effects because it was about me getting a education and setting out to do what I wanted to do." On Nov. 5, 1984, after Sobol's biological mother gave birth to her, she placed her in a cardboard box and left her in a campus laundry room. Two SFSU students were doing their laundry that day and found her. One of them was a sophomore by the name of Esther Wannenmacher Raiger, who was pursuing her nursing degree. "I wasn't crying, so she knew that could be an issue," Sobol said. "I found it very heartwarming that she was a nursing student who just took some classes handling newborns." Sobol said Esther sent another student to call 9-1-1. Campus security and the authorities arrived and later brought the infant to San Francisco General Hospital for evaluation, Sobol said. Esther was unavailable for comment for ABC News. "It was interesting because it caused a stir of well, 'Who was the mom?'" Sobol said. "It took a while for them to find the placenta, which she dropped in the garbage chute." Sobol's biological mother, a sophomore at SFSU, was a resident at Verducci Hall on campus. Through process of elimination, police were eventually able to track down the student who claimed she had concealed her pregnancy. Sobol's father, also a sophomore, told authorities that he had no idea about the baby, Sobol said. Because Sobol's mother had left the infant in a place where she would be found, she was not charged with child abandonment or endangerment. Sobol's father was also not charged. While Sobol was cared for at the hospital, the city of San Francisco had named her Baby Jane Doe. Articles ran in the local papers, and many applied to adopt the mystery child, Sobol's adoptive mother, Helene told ABC News. "When I saw Jill's picture in the San Francisco paper, I immediately said, 'This is our baby,'" Helene Sobol said. "I did know that we were on the list with the social services department. A week or so later, our social worker called me and said, 'We have a baby for you.' I said, 'I'm not surprised, you're confirming my intuition.' It was the most amazing phone call." On June 4, 1985, Helene and Sam Sobol adopted "Baby Jane Doe," and named her Jillian. This was the second child for the couple, who had adopted a son, Jeffery, about 3 years earlier, Helene said. Throughout her life, Sobol said her parents always made her aware of her adoption. Sobol even created a scrapbook that contained news clippings from when the police were still searching for her biological mother, she said. In 2007, Sobol searched for and found her biological father. She wrote him a letter and the two met in a joyful reunion in California. Recently, Sobol tracked down her biological mother. The two connected, but have not yet planned to meet in person, she said. "Right now, it's about me and graduating," Sobol said. "I think it helped, going through this." 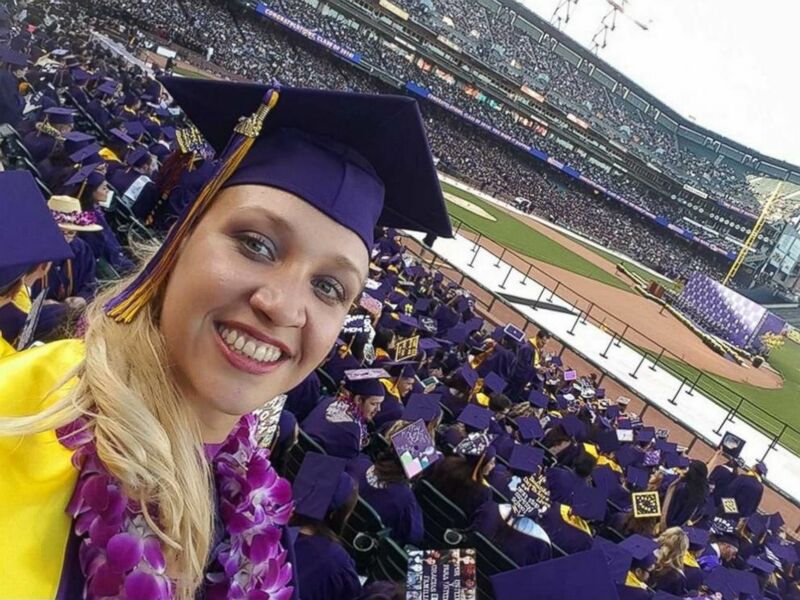 On May 27, Sobol graduated from SFSU with a Bachelor of Science in Hospitality and Tourism Management. “Jillian's story is one of amazing resilience and courage, traveling full circle from the beginning of her life here on campus and culminating in Commencement, surrounded by her SF State family and friends," SFSU's president, Les Wong told ABC News. "Jillian's strength and determination will be her armor as she moves forward into the world." Sobol hopes to excel in a career related to event planning.